Never assembled a hookah before? No worries, it's not hard! 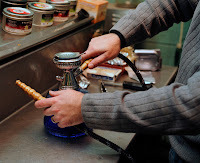 Below, we'll demonstrate how to assemble a hookah using our MYA Mikro as an example. 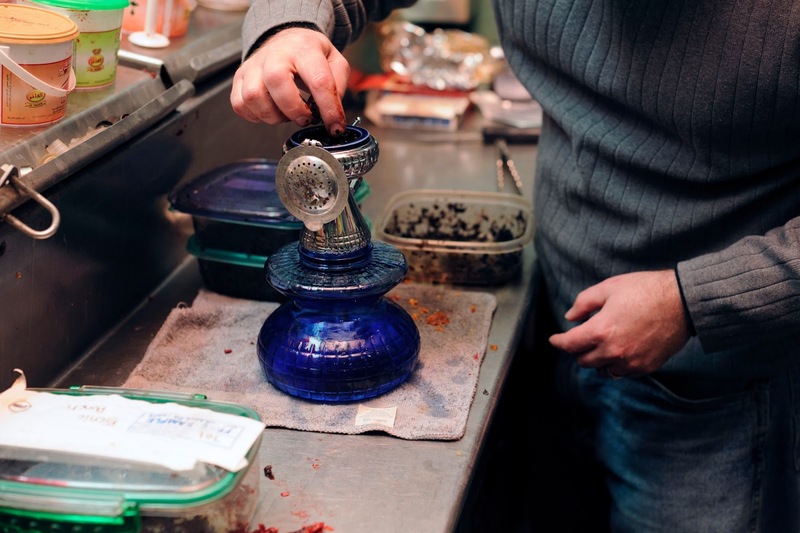 In some ways, the Mya Mikro is like any other hookah, so you should be able to adapt these instructions on assembling your hookah. First, you'll want to fill the base with water or another liquid of your choice. You want the water to be about 1 to 1 ½” up the downstem. As you can see in the picture, it’s about where my finger is on the vase. Then, you replace the stem. It’s easiest if you put the gasket on the base and then push the stem on. Now comes the fun part: packing the bowl. Unlike your standard Mya Bowl, this one sits flat IN the top of the stem, almost like a modified Syrian bowl. Imagine, no more having the bowl knocked off your hookah by someone hitting the hookah or bumping the table! Keeping in mind that the bowl is convex, and the screen is concave, so you have to watch how you pack this bowl. Packing the tobacco evenly across the bowl will either result in your screen not sitting properly on top or you will end up under packing the bowl. I have found that packing the tobacco higher around the edge and a bit lower in the middle works best. Essentially, you are creating a cavity in the center of the tobacco for the screen to drop into. Next, make sure your hose gasket is in place and then firmly insert the hose end with a slight twist. If the hose is seated properly, you are ready to go. 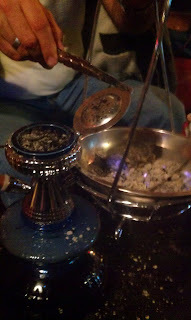 It is important to keep how the bowl is packed in mind when you are putting the coals on your bowl. 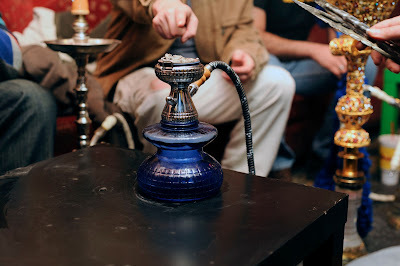 Since the majority of your tobacco is around the sides of the bowl, put the majority of your coals around the edge of the screen, not all piled in the middle, for best results. Remember that this is a metal screen, not foil, so the initial heat will have to be higher to heat the screen and allow proper heat transference to the tobacco. Once the tobacco is up and smoking, however, you can actually cut back a bit on the coals, as a screen also tends to maintain heat better than foil. Heat control is really a matter of practice. Each smoker will find the ideal amount of coal to produce smoke of a thickness and taste that suits their smoking preferences. When you're done with your session, you'll have to de-ash the screen. As I’m sure you noticed, there is no tray to catch the ash, so simply using a pair of tongs to push the ash off the edge is NOT recommended. I found the simplest way to clear the old ash and coals is to take whatever container you use for your hot coals and set it at the edge of the bowl, right under the hinges for the screen. Then, you simply use a pair of tongs to pivot the screen on the hinge and dump the ash back into your coal carrier. This is actually simpler than it sounds and I can do a quick flip and pump with very little problem. To remove the bowl, simply grab the post sticking out from the screen assembly and slowly and gently lift it up. The bowl comes out very easily for cleaning and/or repacking. And speaking of repacking, I have found that by smoking Tangiers, I can get about 1 ½ to 2 hours of smoking on one of these bowls. And I can refill it right there at my table for a second round. I just pull the bowl, dump the spent tobacco into a container of some sort, repack it, and flip the screen back down. No need for foil and a toothpick to get set up for the next round. We hope this guide on assembling your hookah was useful. Check out the Mikro today!